Improve Firearm Performance & Appearance with PVD Coatings! Want Your Firearms to Look Good, Last Longer? Putting a PVD coating on gun components can make those components last longer, perform better and differentiate your gun from similar ones in the marketplace. 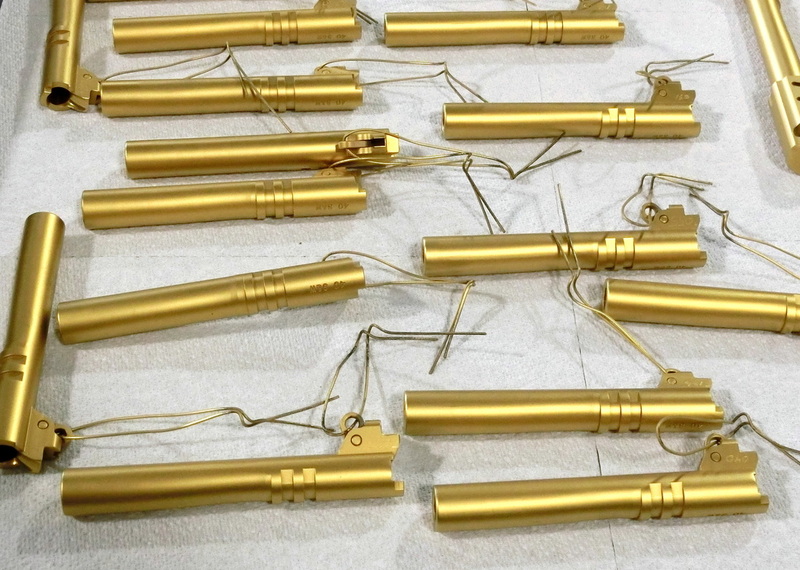 If you are interested in TiN coating gun parts and don’t know much about PVD coatings, there are a lot of factors to consider in determining if a PVD coating is right for you. This page provides some of the most important things to consider. PVD Coatings are applied at about 800°F. Will this temperature adversely affect the part I want to coat? Surface finish – PVD coatings are very thin (0.0001″ – 0.0002″), so although they don’t usually affect how gun parts fit together, they also won’t make a rough part look shiny. If you want a polished look, the part should be polished before you send it to us. Other Surface Treatments – PVD coatings will not stick to oxides, EDM recast or other surface treatments (bluing, etc.). It is possible to coat parts with these contaminants, but contaminants will have to be removed in order for the coating to be well adhered. Matte finishes – if you have a ground or machined part and are looking for a matte finish, it is usually better to have us put on the matte finish. If you put it on by sand blasting, chances are you are contaminating the surface or making it too rough. Pricing – we TiN coat gun barrels for $125 each. Other gun components would range in cost from about $2 to $200, depending on the size and type of part, type of coating, quantity, etc. A PVD coating protects important surfaces from wear and scratching, while providing a distinctive color to your gun. 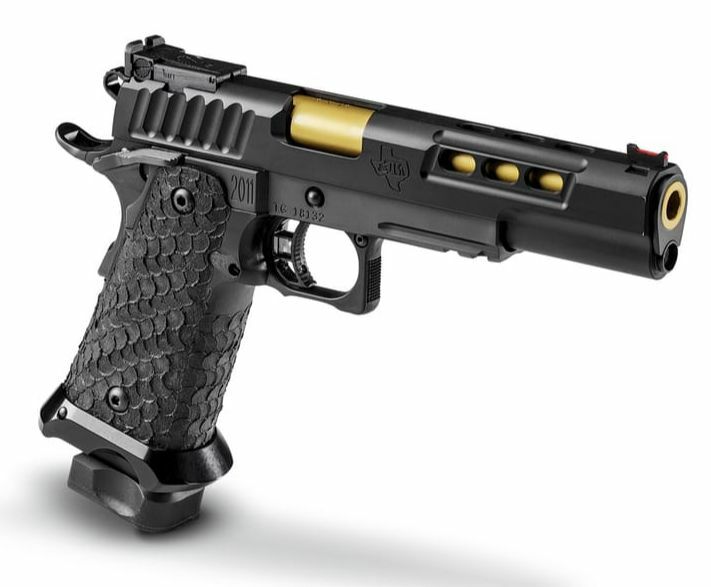 While dark gold (TiN) is probably the most common gun coating color, other types of PVD coatings can also be applied for a distinctive look (AlTiN for charcoal black, CrN for metallic and Alpha for light gold to name a few). If you are considering having some gun parts coated, this flyer provides additional information.